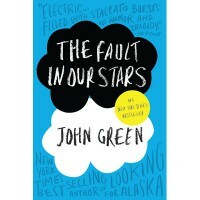 About my rating: Let me start off by saying that although I loved the book, it wasn't as good as I though it would be. It's one of those cases where it's over exposure, high ratings and so many people rallying "best book ever" had my expectations completely off the charts. Now, just because it didn't meet my expectations doesn't mean I it deserves anything less than 5 stars. This books has some of the best lines I've read in one book in a very long time. It will definitely go onto my always-a-keeper shelf. Don't let the subject scare you away, it's possible to read this book without sobbing...or even crying; I did. I would recommend this to anyone and everyone.